I must admit I'm a big magazine, online article reading fan. I love magazines like Self that help give tips on weight loss, healthy living and good food. Recently, I saw a great article that listed the top 10 super foods to eat and I thought I should share. To see the list, and read about how it benefits you click here. I am a big fan of eggs, and I eat them a lot so I try to change up how I eat them. Here are two ways I like to eat them. 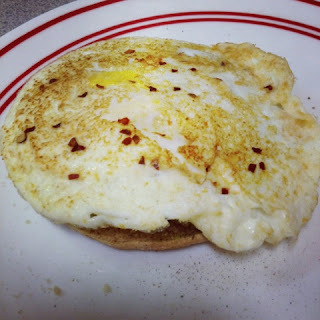 The first is just sunny side up with red crushed pepper and garlic powder on a wheat slice with avocado underneath that you can't see. 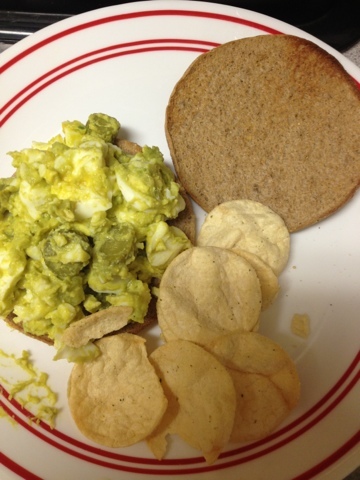 Next to that, I've done hard boiled eggs for an avocado egg salad. Instead of mayo I used avocado and a little bit of mustard and lemon juice and mixed it up with wheat slices and kellogs chips on the side. Here I've done a jalepeno cheese stuffed chicken burgers with sweet potato fries, brussel sprouts and tomatos. 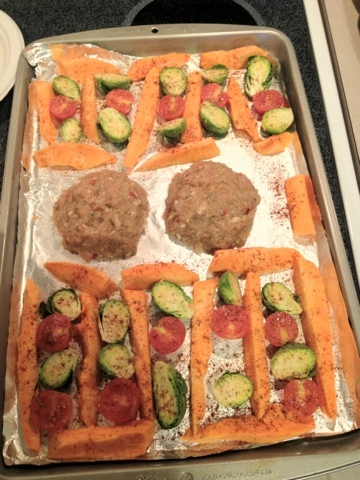 Of course this picture is before I put it in the oven. I was never really a fan of sweet potatoes until recently and now I can't get enough of them! It's a good thing they're on the list of super foods! 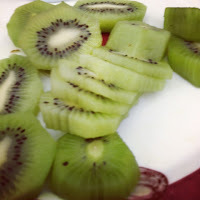 Here I had some cut up kiwi as a snack with my oatmeal. Eat healthy to feel healthy! Incorporating these super foods to daily eating will reap great benefits.